Whale watching in the San Juan Islands is one of the most popular pastimes for tourists in Washington State. 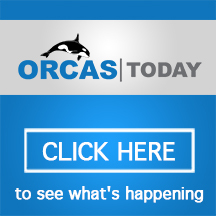 The Orca Whale pods that frequent the San Juans aren’t as common around Orcas Island; but there’s no worry. 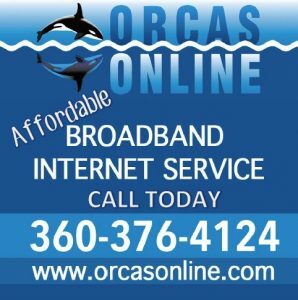 Numerous businesses are ready and able to take you all over the San Juan Islands for the ideal whale watching experience. Wherever the whales might be is where you’ll get to see them. Not only can you experience the natural majesty of island marine life; you’ll get to enjoy a seaside tour of the San Juan Islands with experts in local wildlife and geography. Depart from Deer Harbor or the Orcas Village on Orcas Island; or take a boat from Roche Harbor or Friday Harbor on San Juan Island. Come visit Orcas Island and the San Juan Islands to immerse yourself in one of the finest marine experiences in the Pacific Northwest. 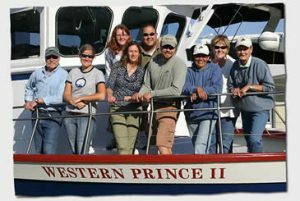 We run whale watching and wildlife tours in the San Juan Islands, north of Seattle, Washington. We focus on offering high quality, intimate tours, guided by dedicated local naturalists. With ever-changing cycles of nature, each tour is unique. You will discover the excitement of meeting whales, eagles and more in their natural habitat. An unpredictable wilderness, full of surprises, is waiting just for you. You will never forget it! Island Expeditions. Year round charters available. Join us aboard our new vessel. Sight Humpbacks, Orcas, Minke and Gray Whales; also view porpoise, seals and eagles. Or try fishing; catch Halibut, Ling Cod, Rockfish, Dungeness crab or Spot Shrimp. Trips depart from the Lopez Islander Resort. Lighthouse Tours and Kayak Trips are also available. Whale watching and wildlife cruises with naturalist guide.